Bath bombs aren't just for women anymore. Each bath bomb is individually shrink wrapped to preserve freshness, then placed in an elegant black swirl box. 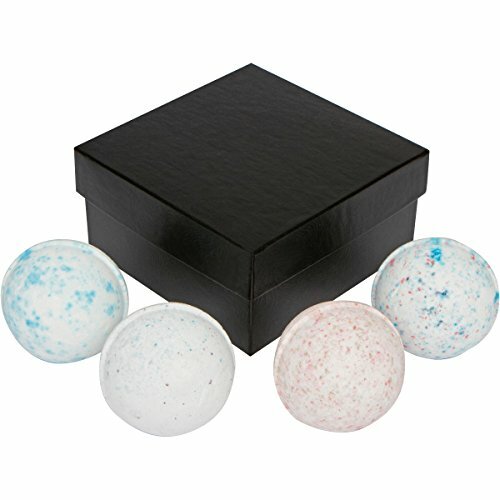 Our Bath bombs are approximately 7.0 oz each, perfect size for a man's bath. Our quality ingredients include: Food grade baking soda, citric acid and cornstarch. 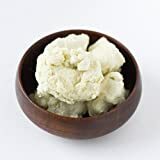 Healthy moisturizing oils: shea butter, coconut oil, certified organic palm oil. Fragrance and water-based colorant that washes away clean with no tub staining. 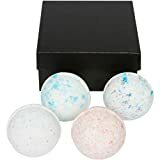 Tags: Bath, Bomb, daMan, Gift, Huge, Mens, Set.